I recently realised that i had not swatched one shade off the 4 nyx girls nail polishes i recieved for review. I was going to paint my nails anyway so why not with this! 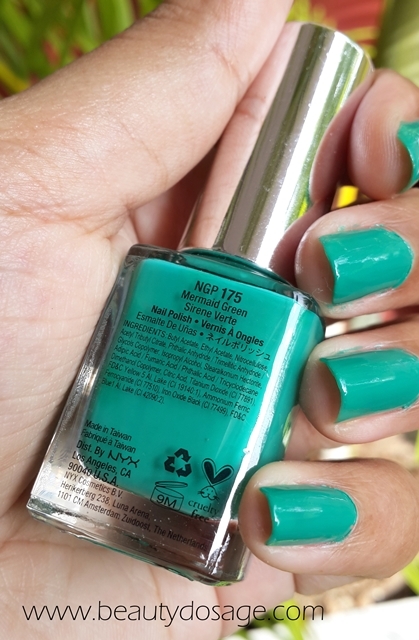 this is the NYX girls nail polish in the shade mermaid green. 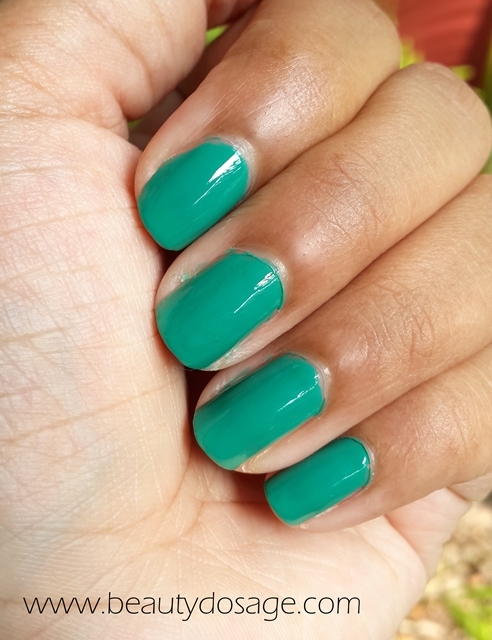 I love how well the name fits the shade of this polish. 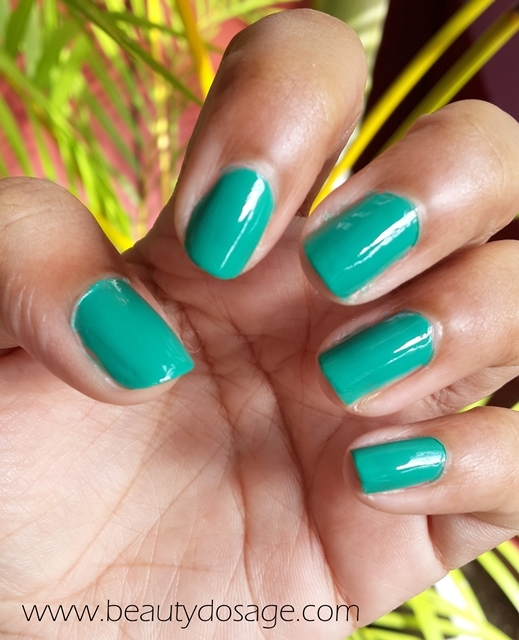 It is more of a sea green rather than a forest green. This shade is a great pop of color without being overwhelming. Look forward for a comprehensive review on these NYX polishes coming up on the blog soon! This is a perfect green shade. I so wanna try nyx nail paints. WOW! It's the perfect turquoise! Thanks for sharing.